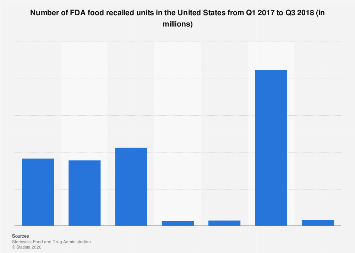 Back in 2011, the Food and Drug Administration passed the FDA Food Safety Modernization Act which was supposed to regulate how foods are grown, harvested and processed. Furthermore, it gave the FDA mandatory recall authority, something it had been trying to get for years. Despite the passing of that law, the U.S. is still experiencing hundreds of food recalls every year, many of which are extremely serious. According to the Centers for Disease Control and Prevention, 1 in 6 Americans contracts a foodborne illness every year. The volume of food recalls can provide an insight into food safety standards in different countries. A recent analysis by U.S. PIRG shows that the total number of recalls in the U.S. fell between 2017 and 2018. Even though that might seem like good news, the long term trends are far less positive with recalls of meat and poultry rising 66 percent between 2013 and 2018. In an even more troubling development, the most hazardous Class I recalls of meat and poultry are up 83 percent since 2013. Class I refers to food that presents serious health risks such as containing botulinal toxins or undeclared allergens. 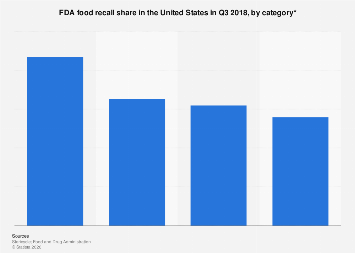 Despite the drop, the overall long-term trends are cause for concern and U.S. PIRG Consumer Watchdog Associate Viveth Karthikeyan said that the number of recalls "are a warning to everyone that something is rotten in our fields and our slaughterhouses". She added that "government agencies need to make sure that the food that reaches people’s mouths won’t make them sick". The report recommends an across-the-board upgreade in U.S. food safety standards with improvements needed in the areas of food production and testing, inspection and monitoring, traceability and recall effectiveness.